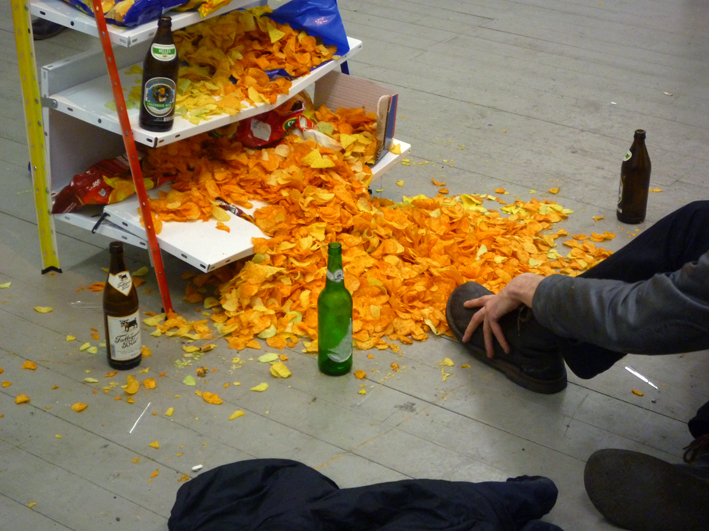 Chipsfall (Serviervorschlag) is an Installation I made for the 2012 Rundgang of the Hochschule für Grafik und Buchkunst Leipzig. 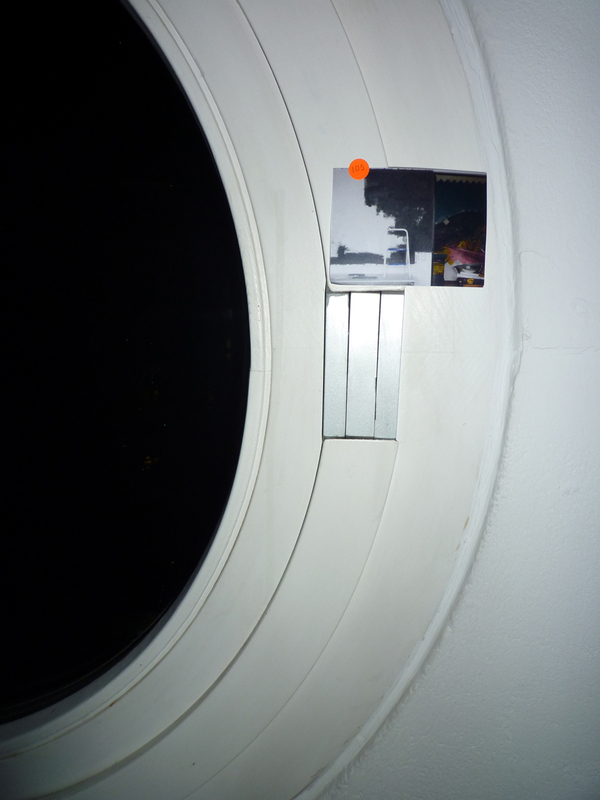 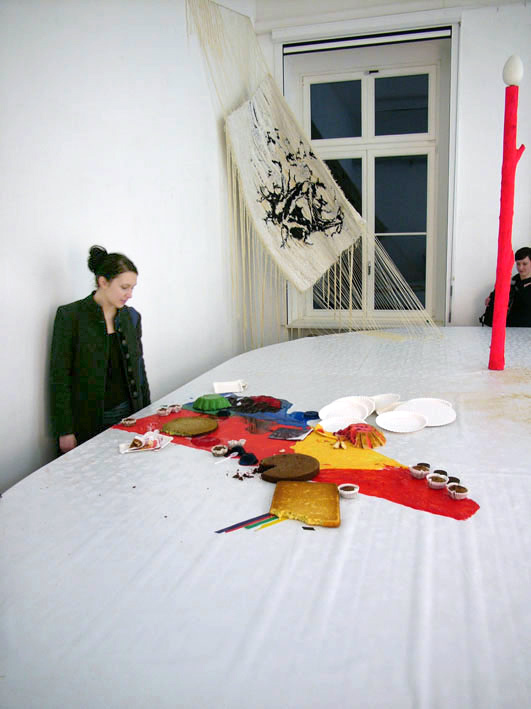 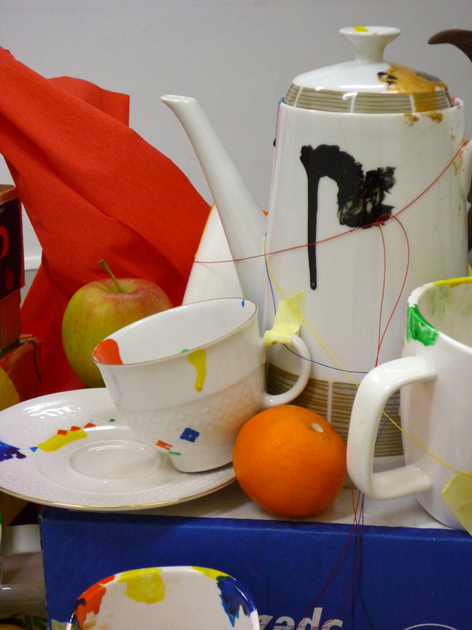 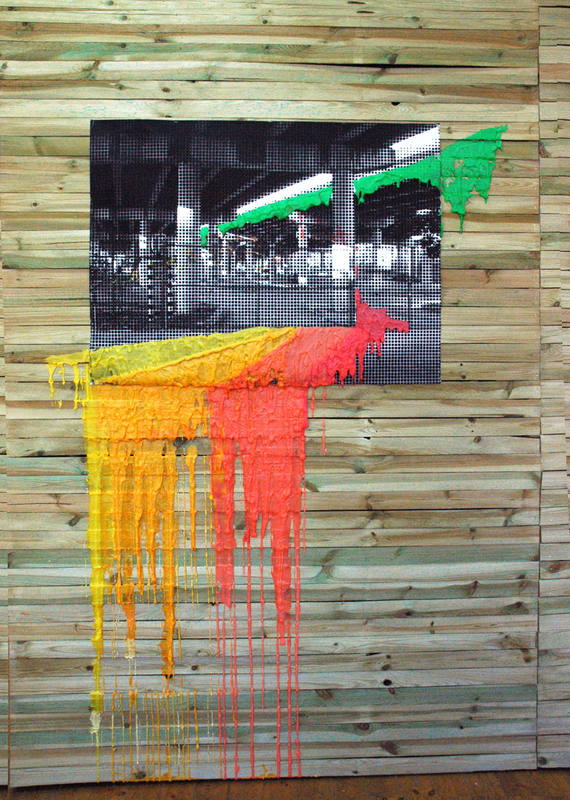 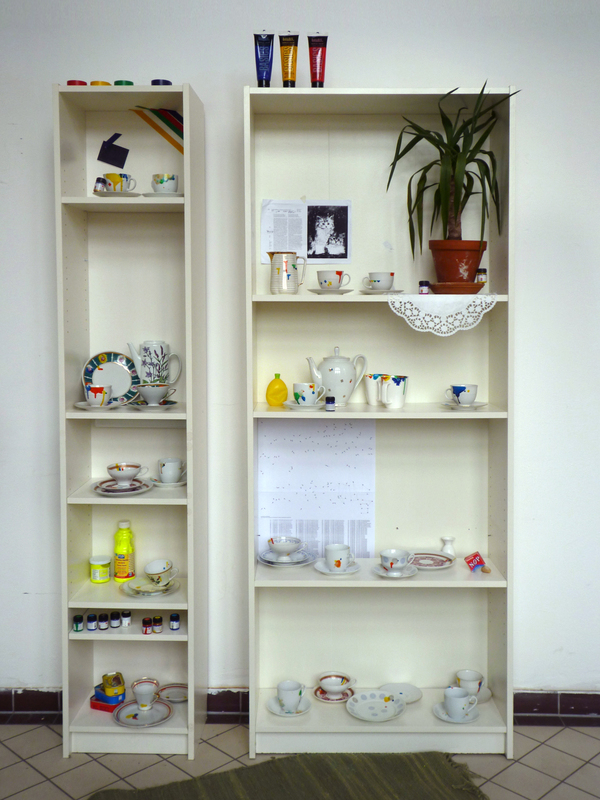 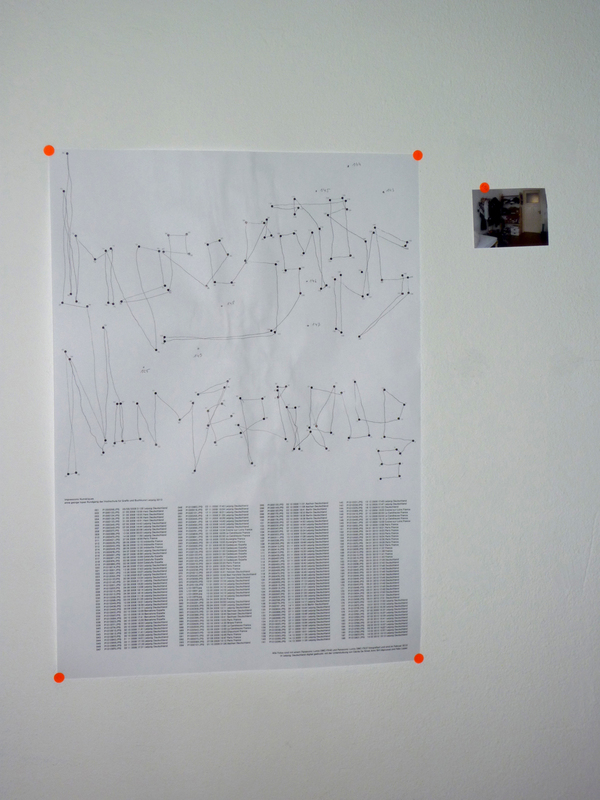 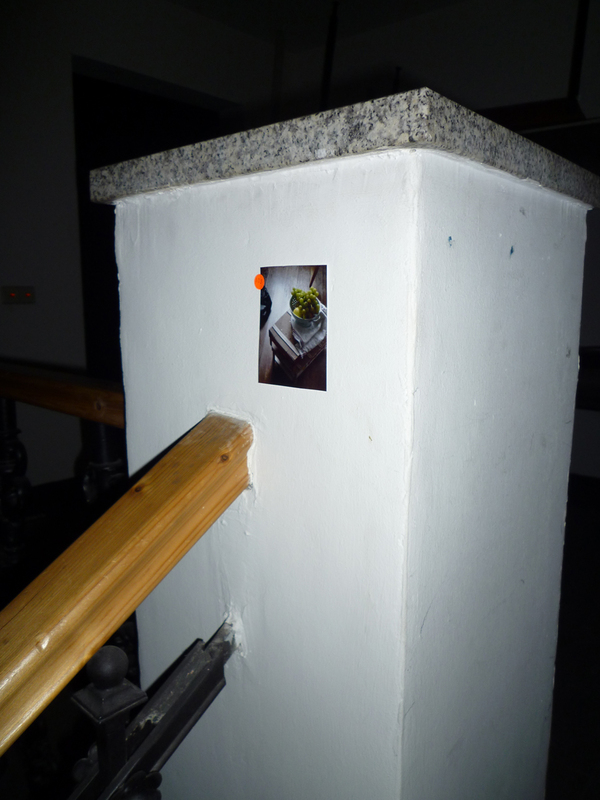 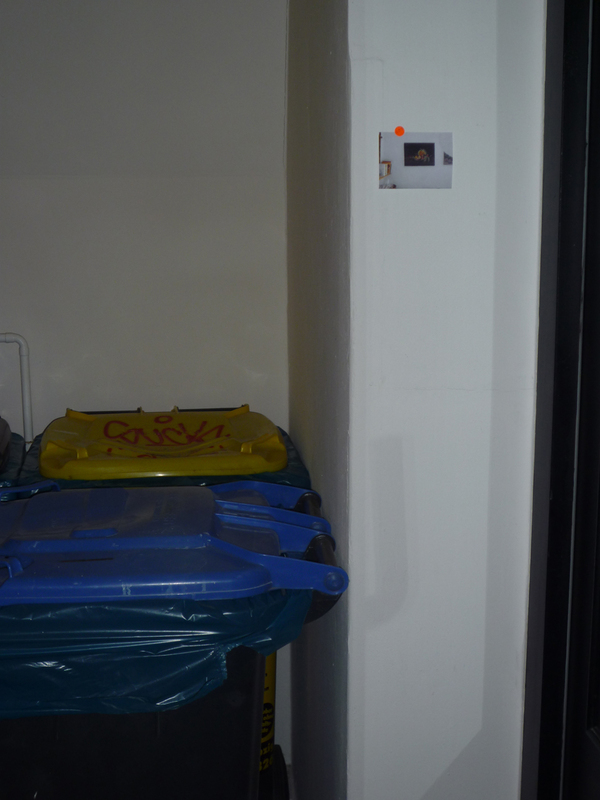 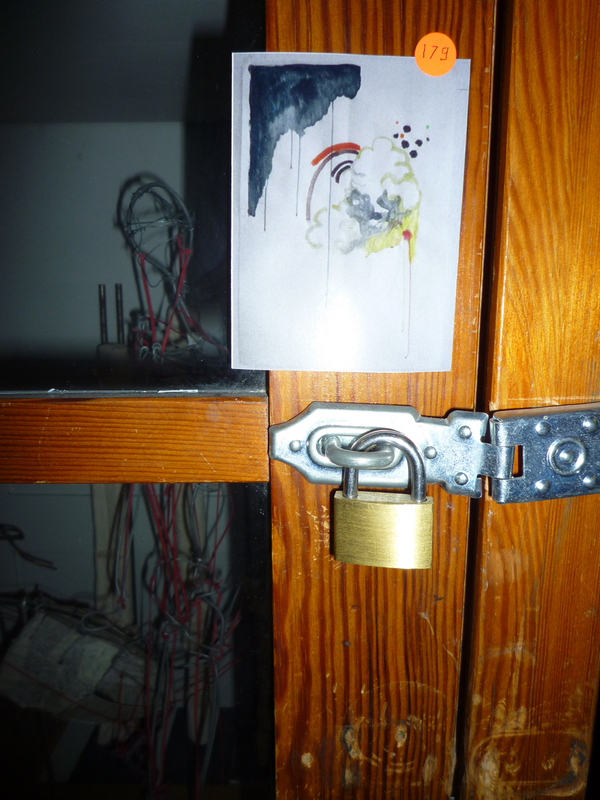 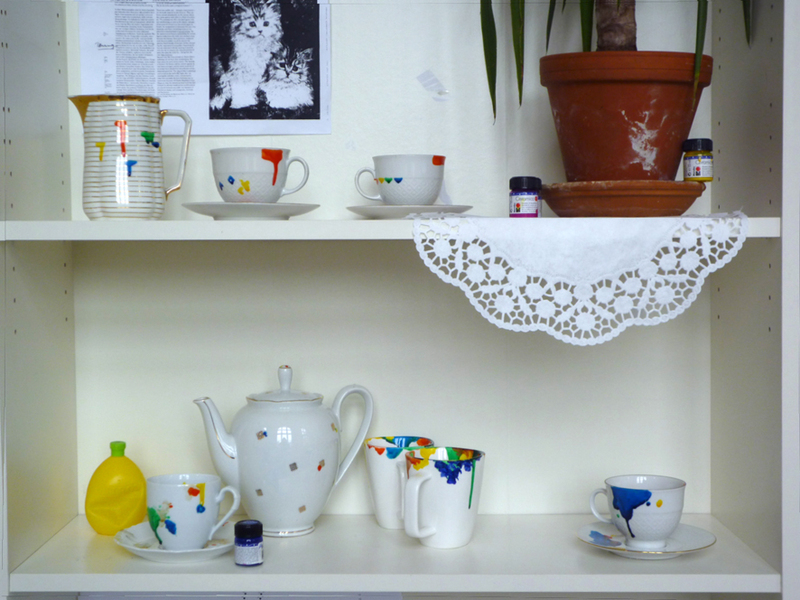 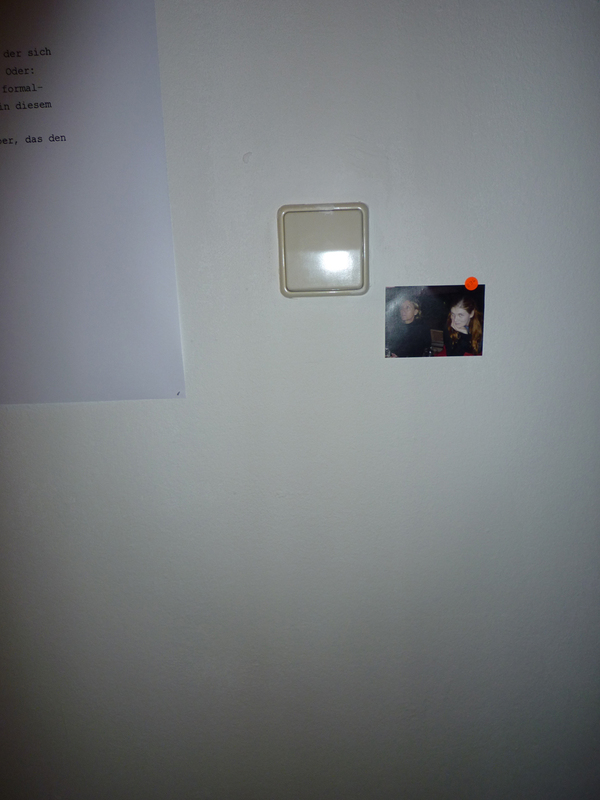 It is (was) to be seen between the 9th and 12th februar 2012 in the Exhibition Supernature of the class for Space and Installation of Prof. Joachim Blank. 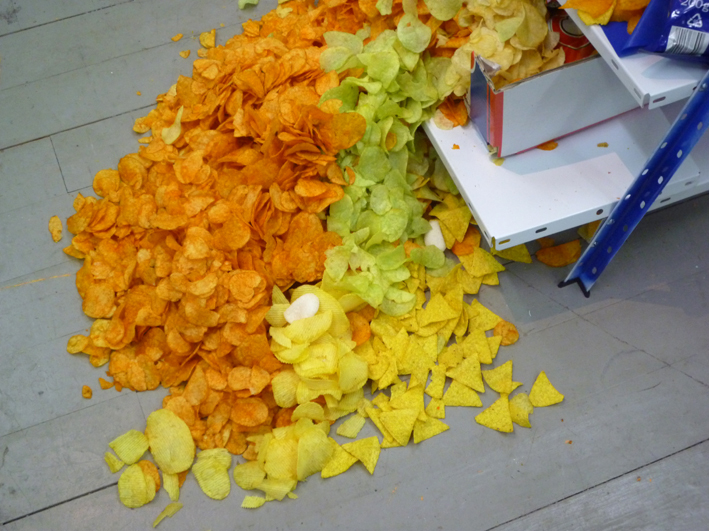 The Still live, or rather “serving suggestion” composed a waterfall motif, or highlighted the ressemblance between chips autumn leaves. 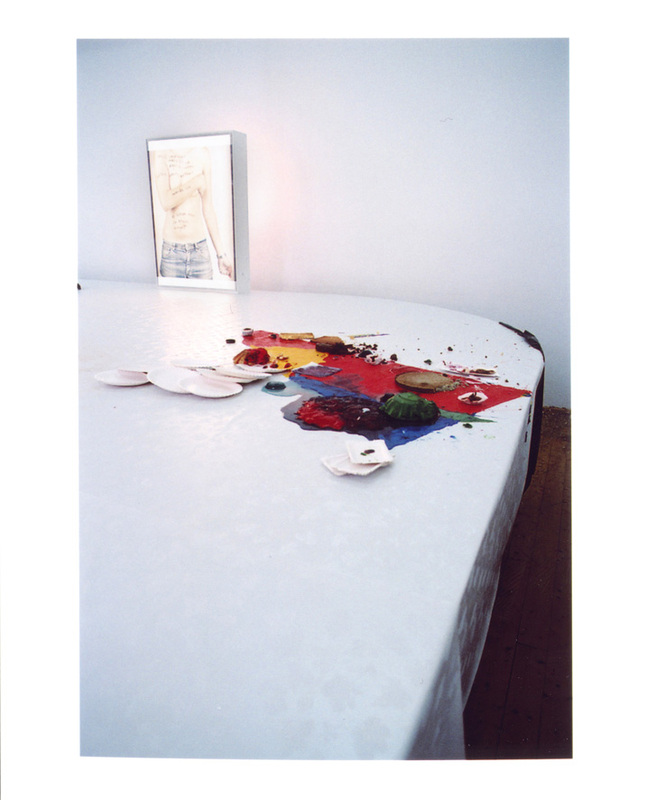 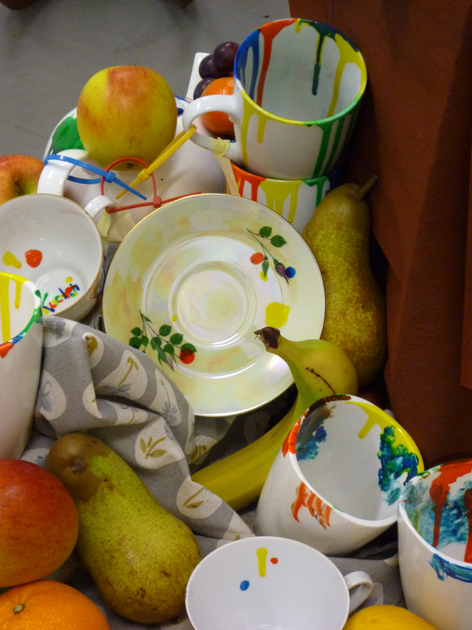 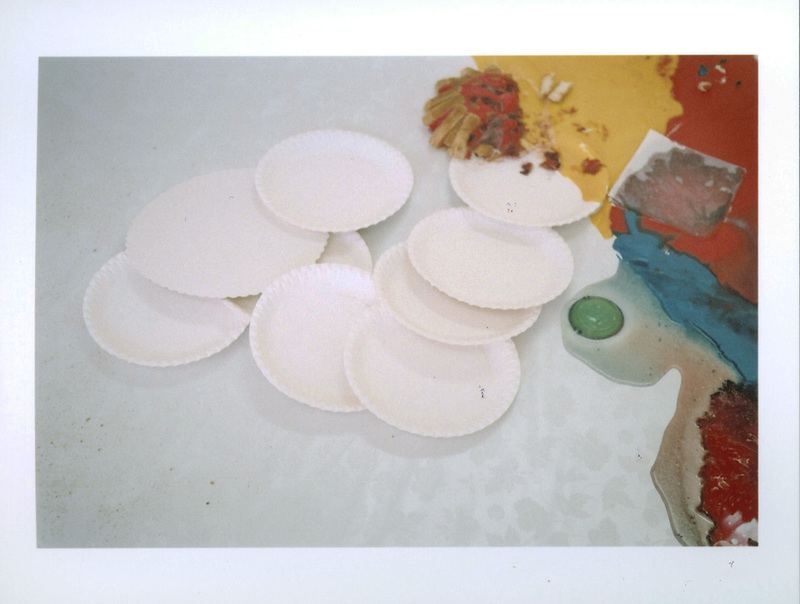 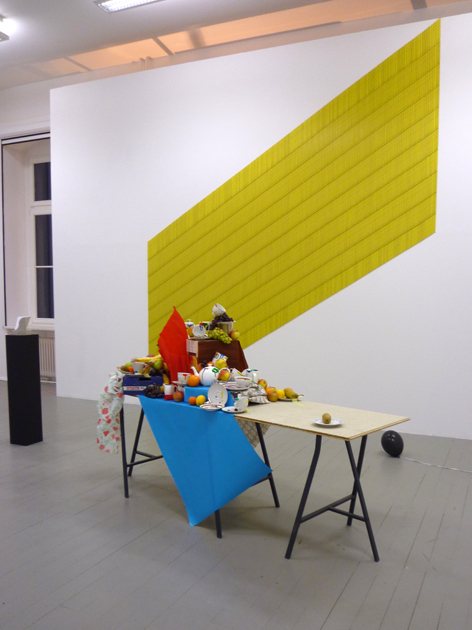 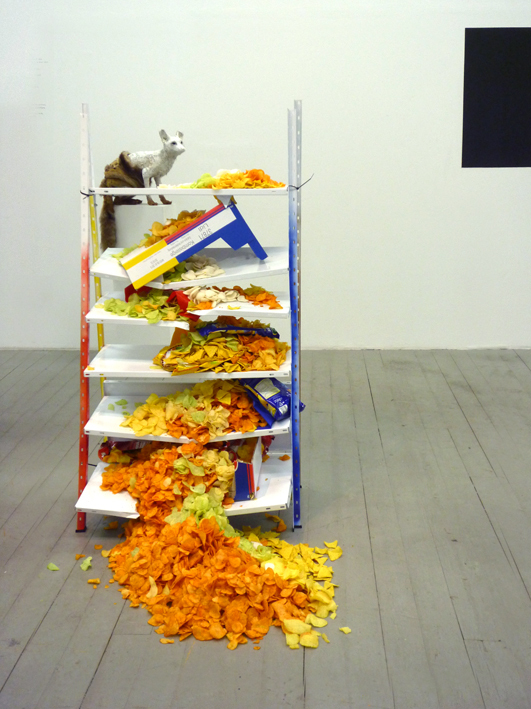 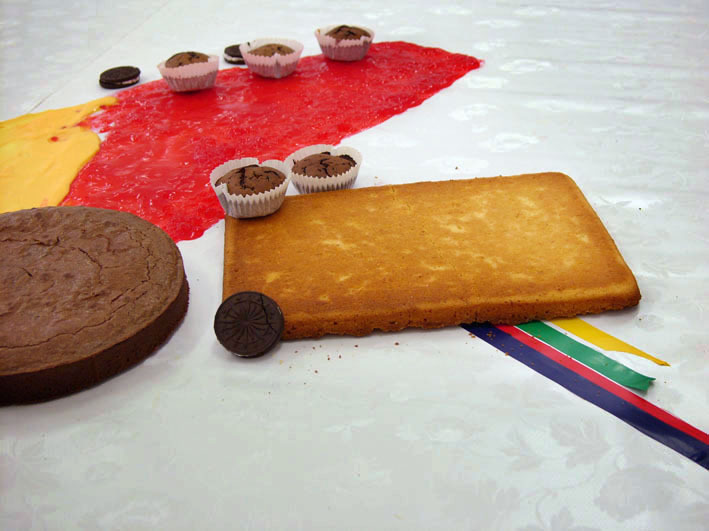 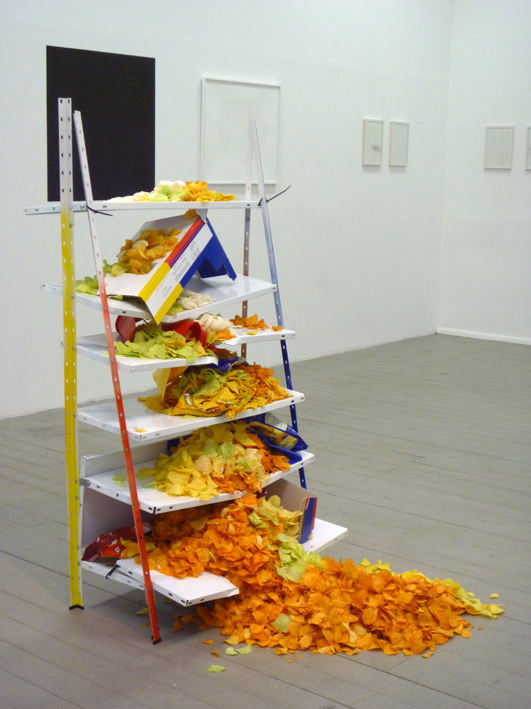 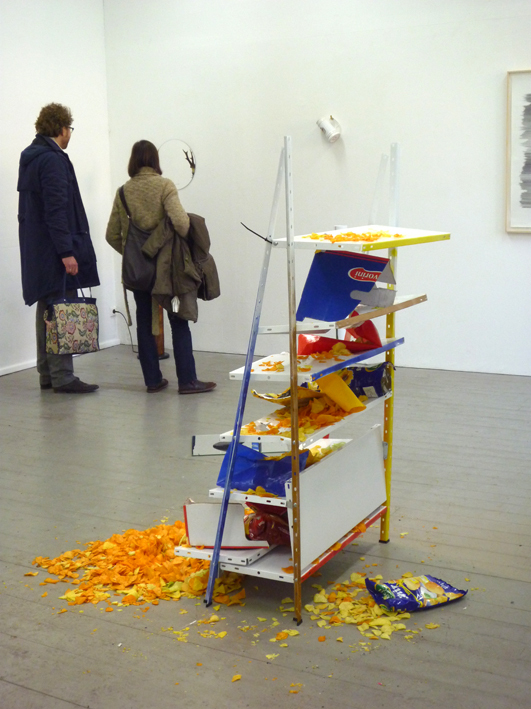 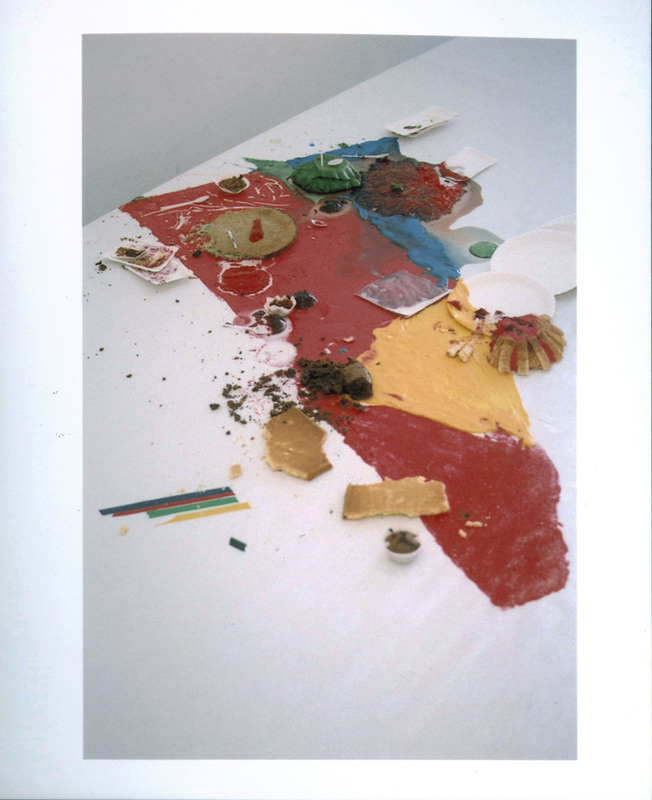 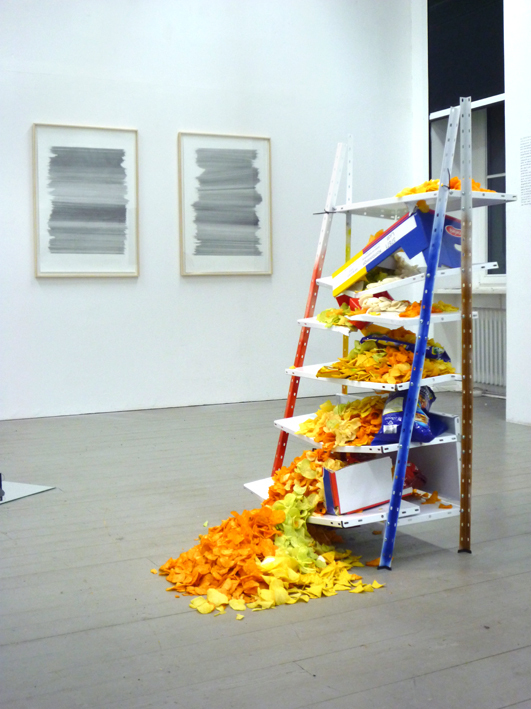 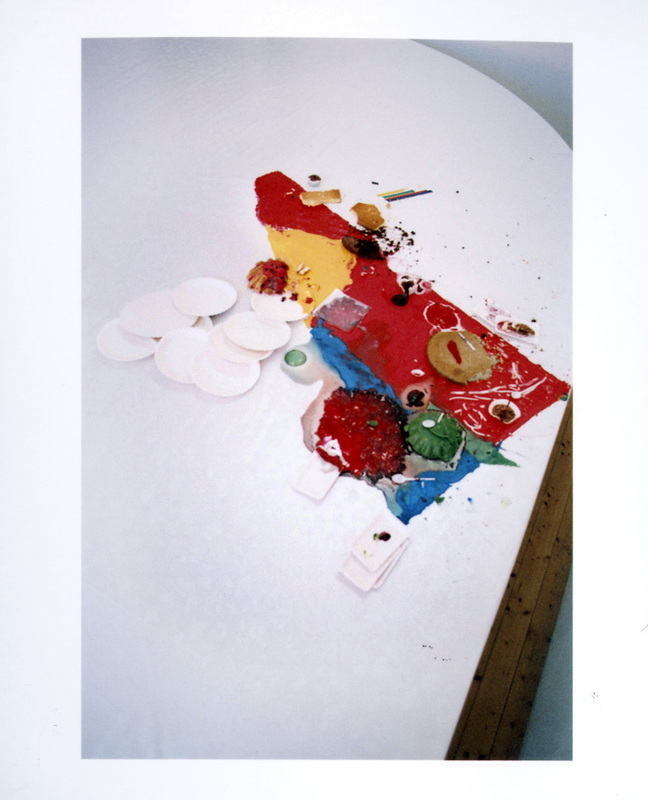 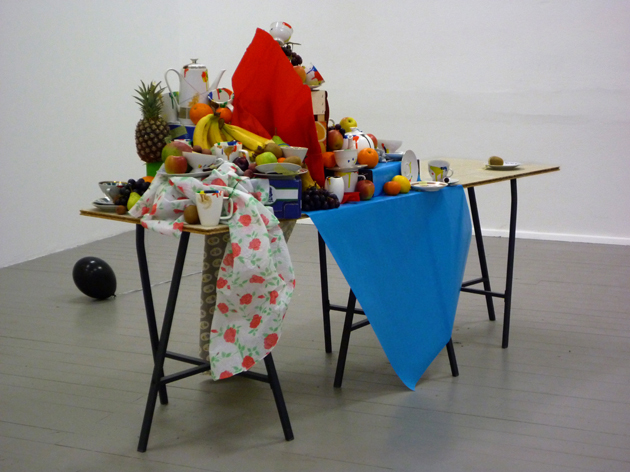 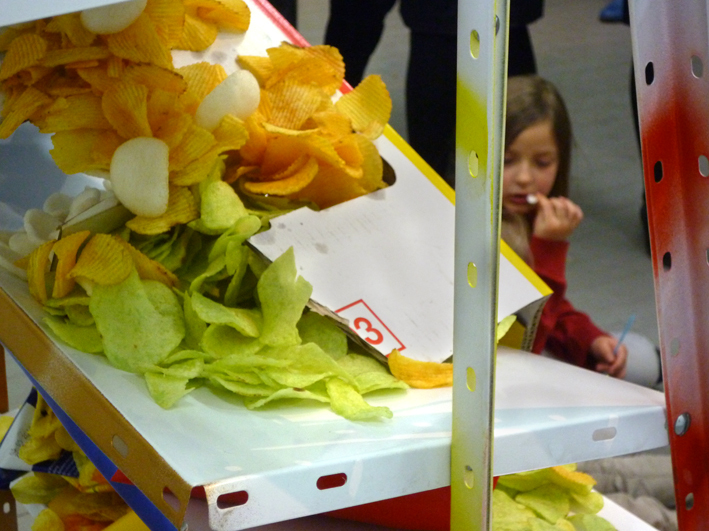 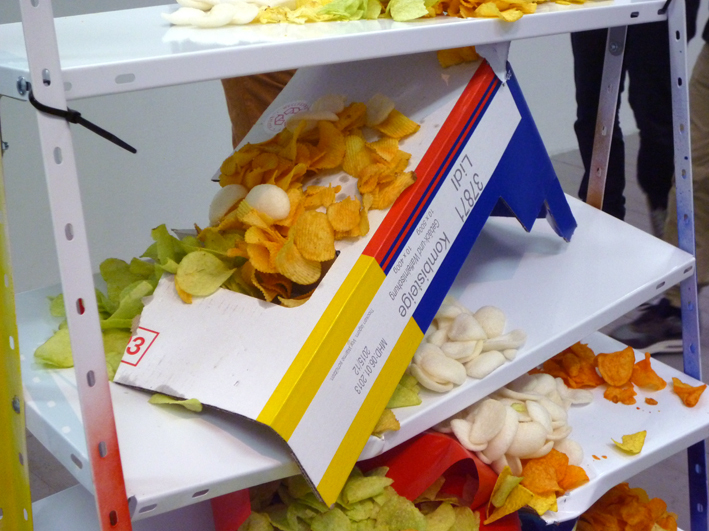 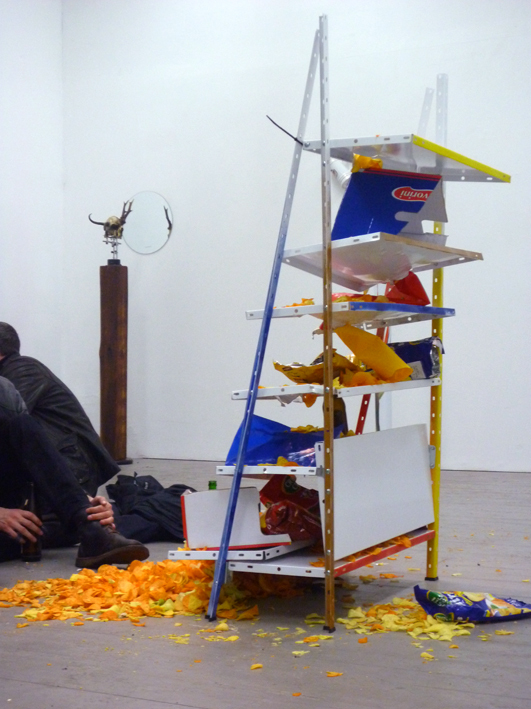 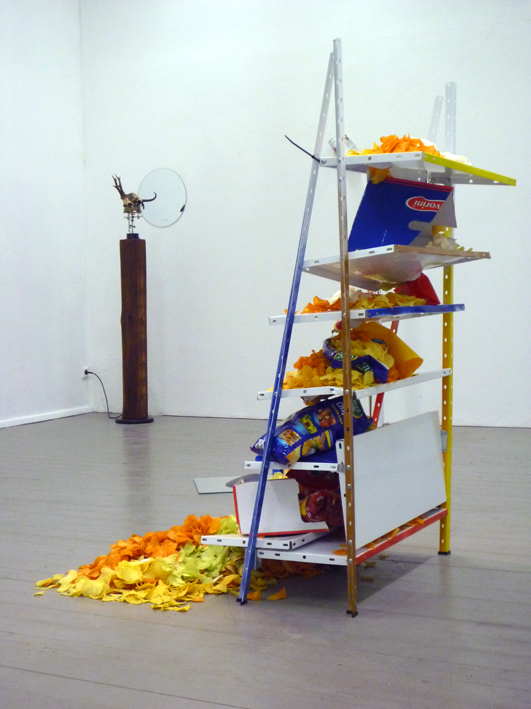 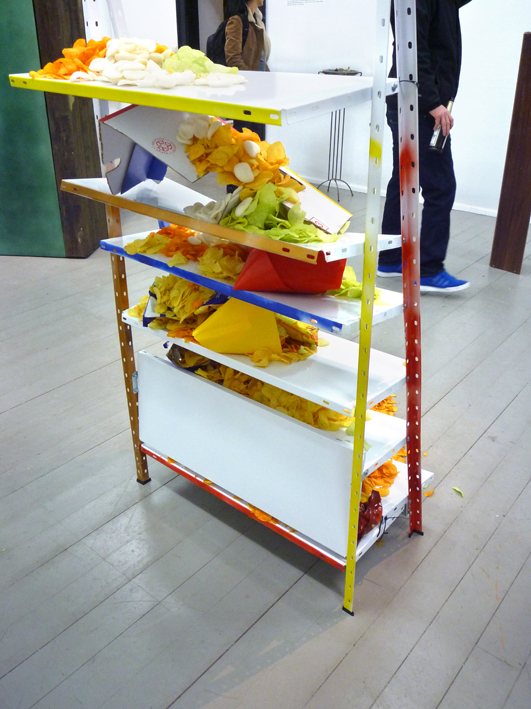 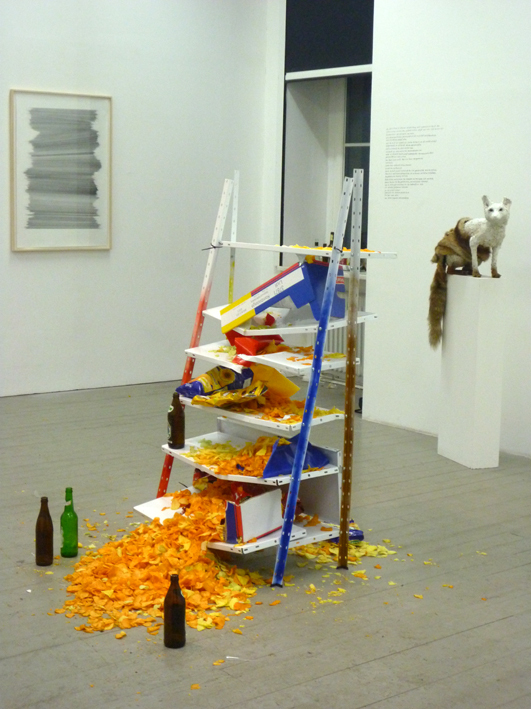 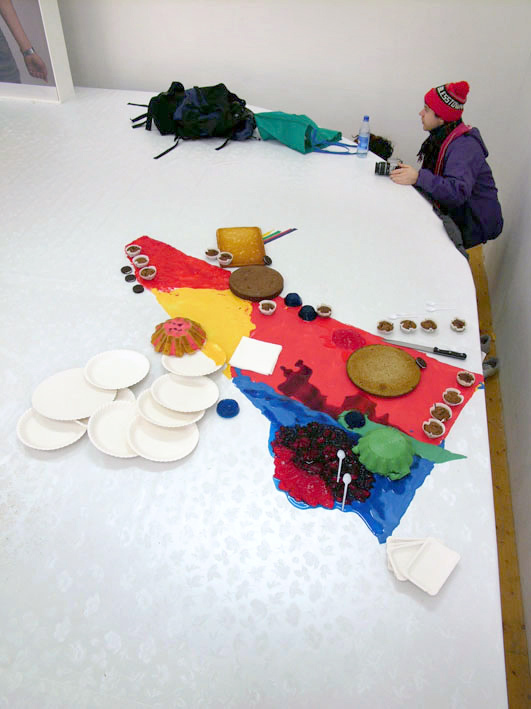 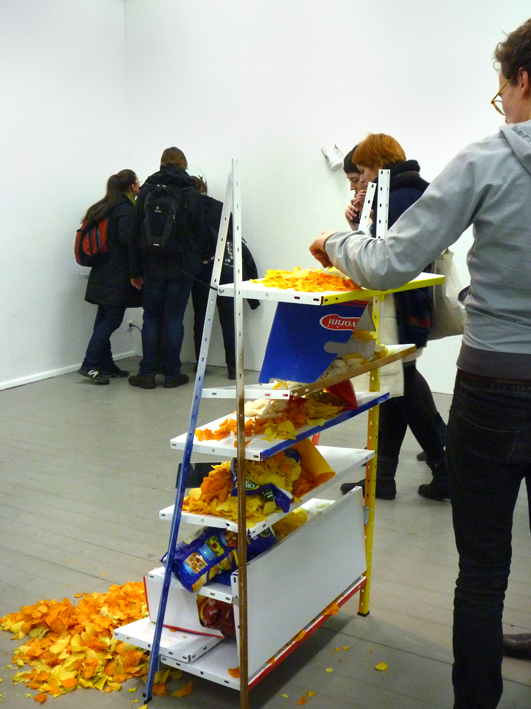 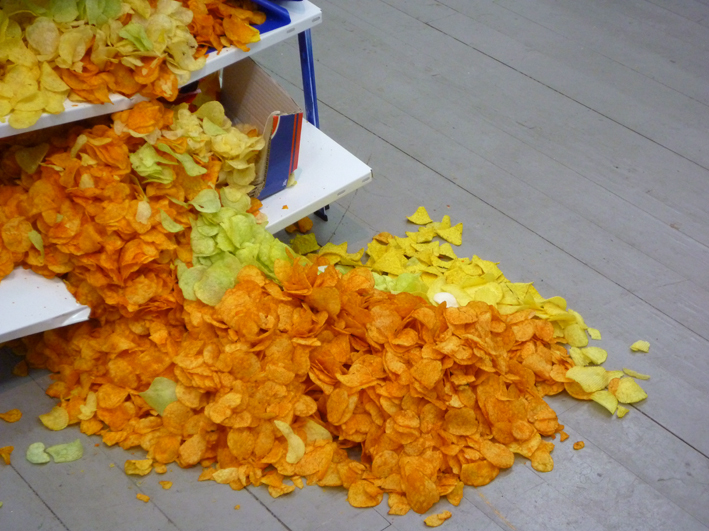 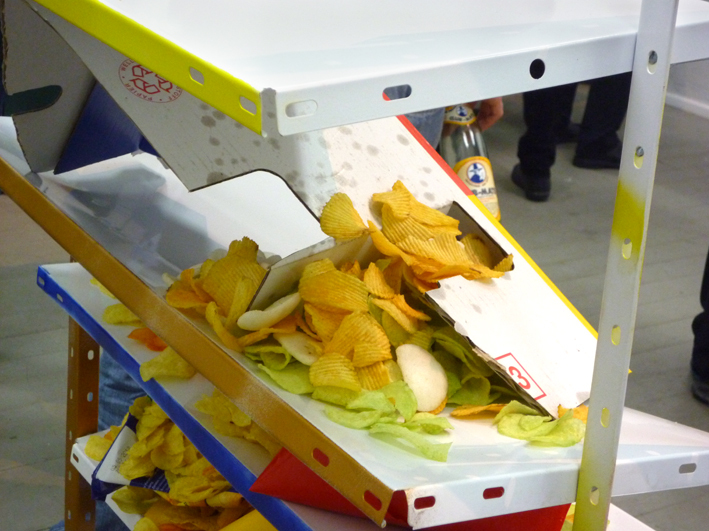 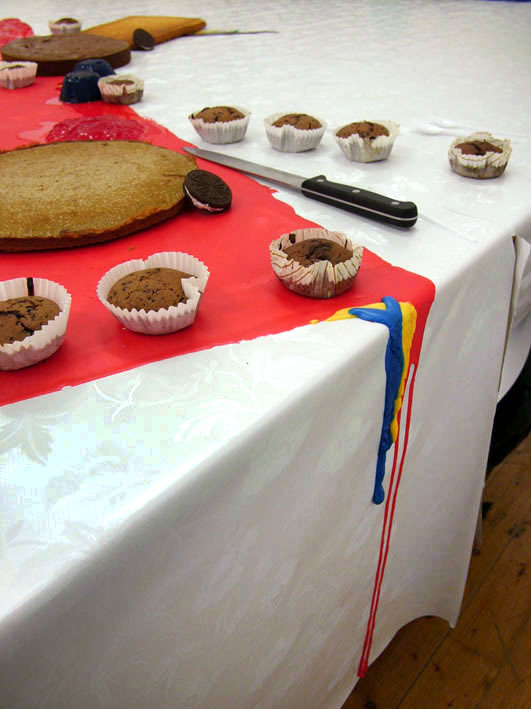 The real chips as if spilling from a rack unto the floor were left for visitors to look at or to taste, according to their motivations for visiting the exhibition.